Saudi Arabia concluded on Thursday a 20-country joint military exercises that aimed at unifying armed tactics for the region’s stability. Saudi King Salman was present along with regional leadership like Sudan’s Omar al-Bashir, Yemen's President Abdrabbu Hadi and Egypt’s President AbdelFattah el-Sisi. Pakistani Prime Minister Nawaz Sharif was also present to witness the conclusion of exercises in Hafr Al-Batin where the event took place. Speaking at an earlier this week, Brigadier General Ahmed Asiri explained that 20 Arab and Islamic countries took part in a number of tasks, including exercises aimed at encouraging cooperation between the various forces. He added that the training also included exercises on how to combat guerrilla warfare, noting that the tactic is used by armed militias intervening in Arab states, such as Syria and Yemen. He said the military exercise would end on Thursday. 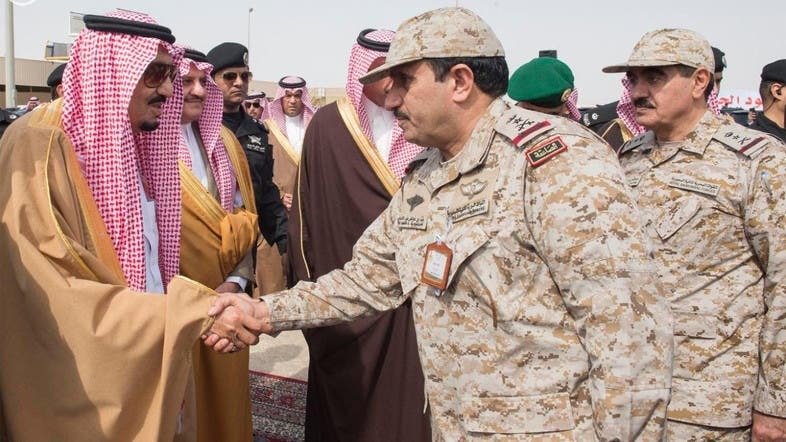 Asiri said the alliance brought together Arab and Islamic forces to gain experience and they would be prepared to protect the region’s stability if needed.